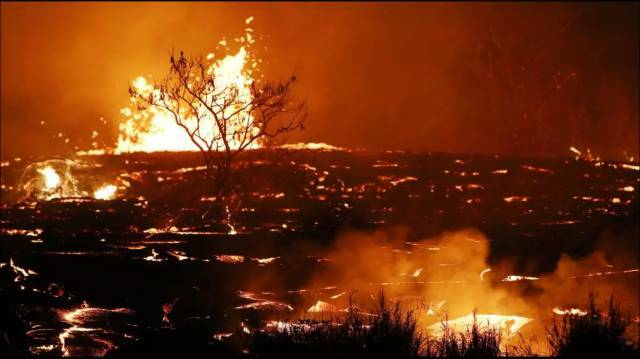 Lava flow on Pohoiki Rd near Pahoa, HI. 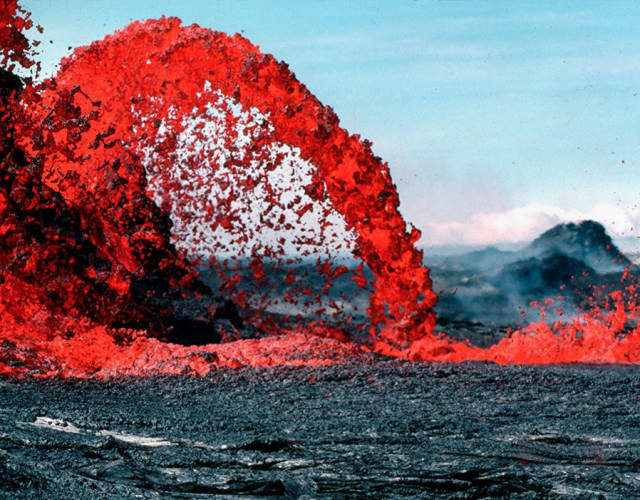 An arching fountain of lava about 30 feet high on the western side of the Kilauea vents. 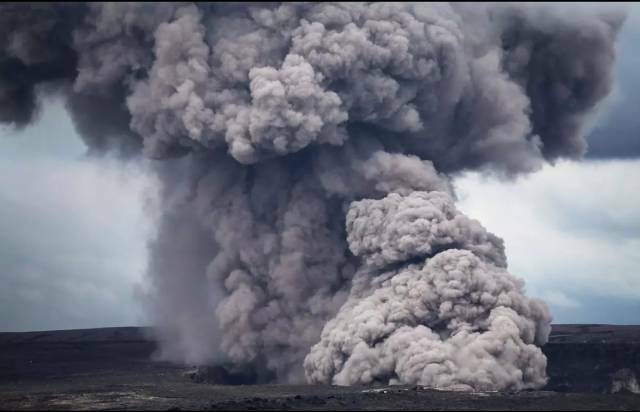 Steam rises as lava flows into the Pacific southeast of Pahoa. 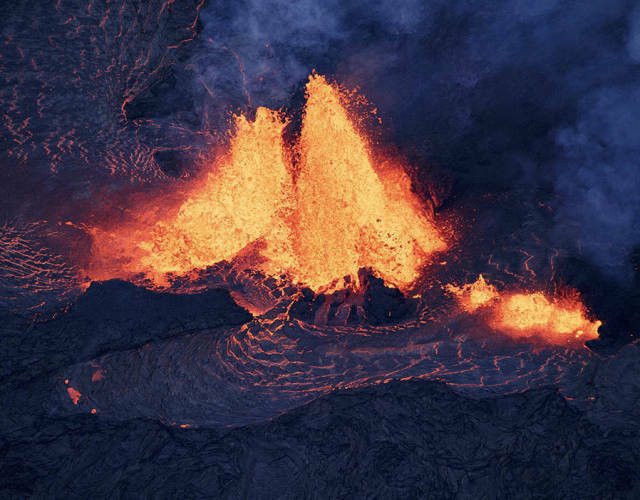 Aerial view of two lava channels flowing in the lower east rift zone. 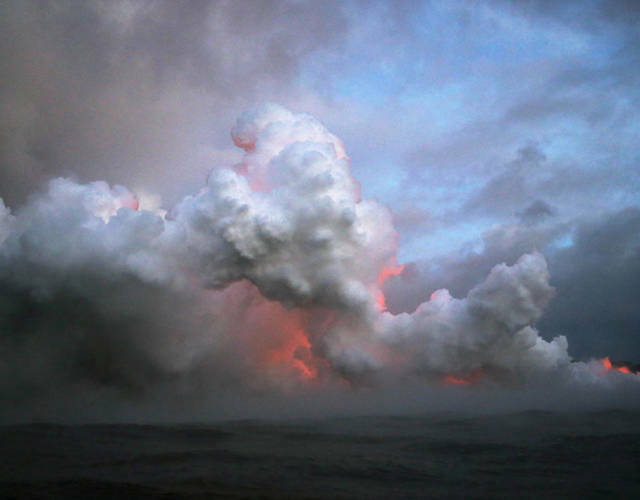 Lava glowing red as it enters the Pacific. 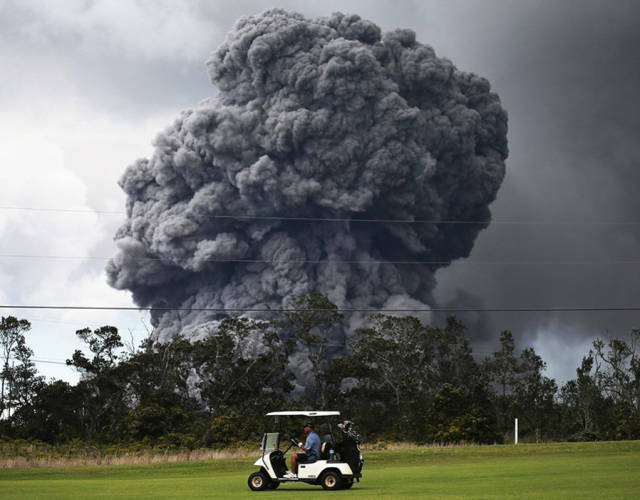 An ash cloud rises not far from a golf course. 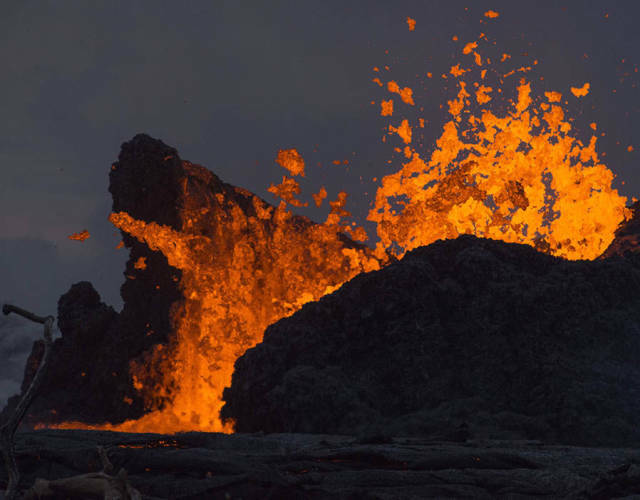 More lava entering the pacific. 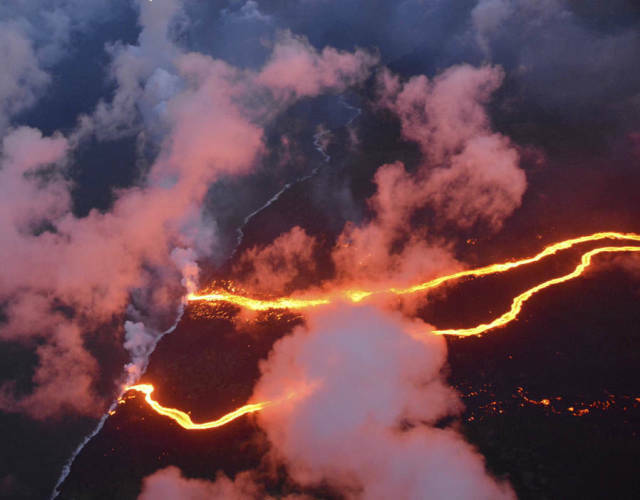 Increased lava flow at fissure 7. 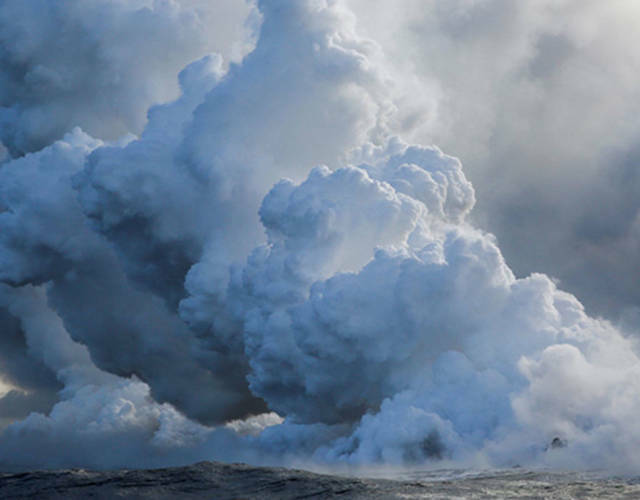 Lava exploding as it hits the Pacific. 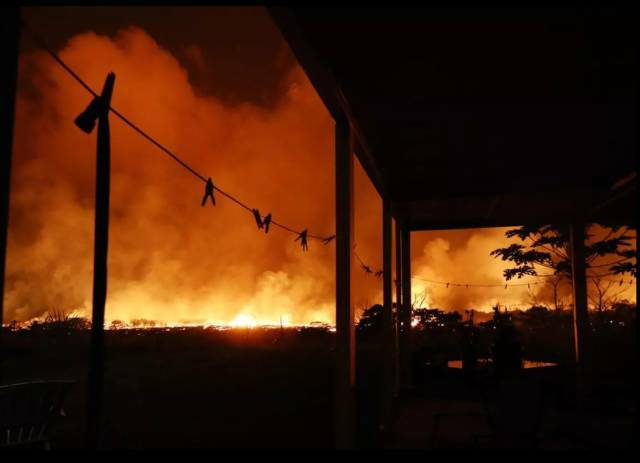 A fissure in the Leilani Estates neighborhood in Pahoa, HI. 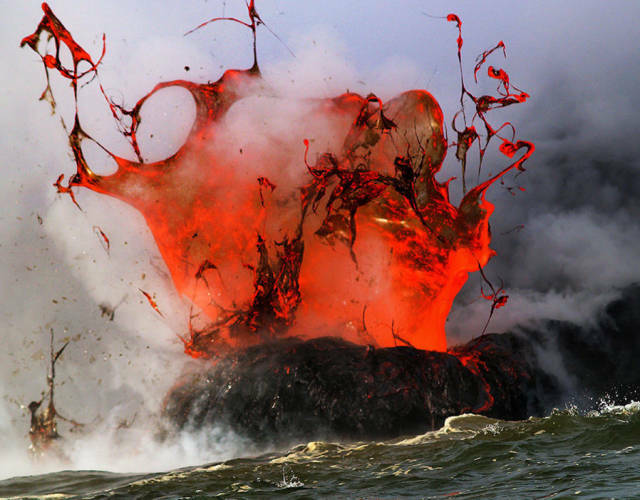 More explosive contact between the lava and the Pacific. 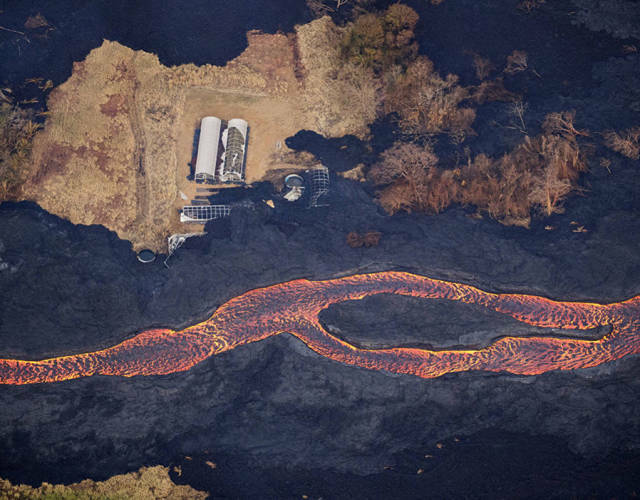 Lava flowing past what remains of a greenhouse. 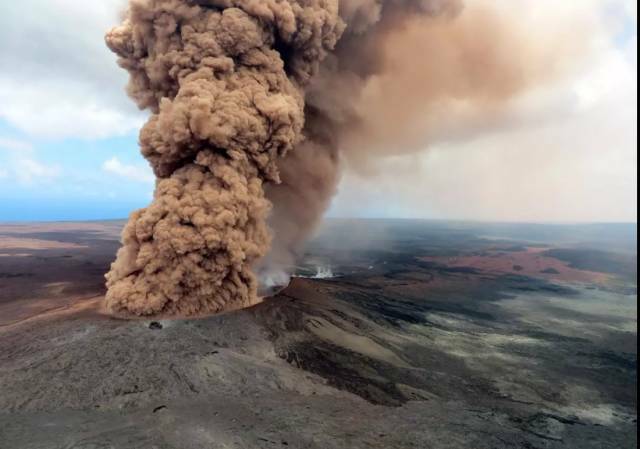 An ash plume rises after an eruption. 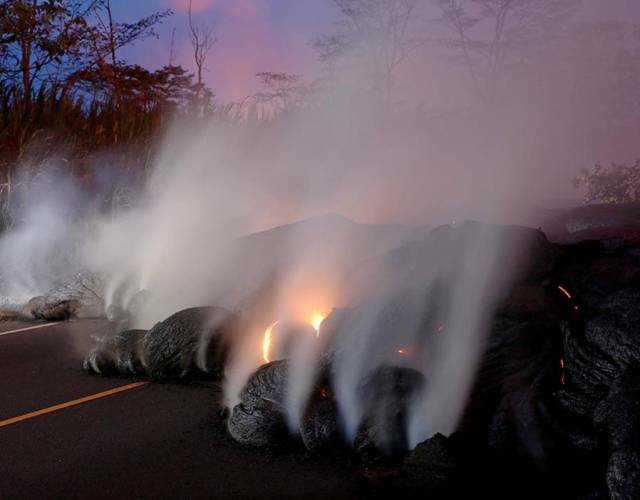 Lava advancing along a street in Leilani Estates. 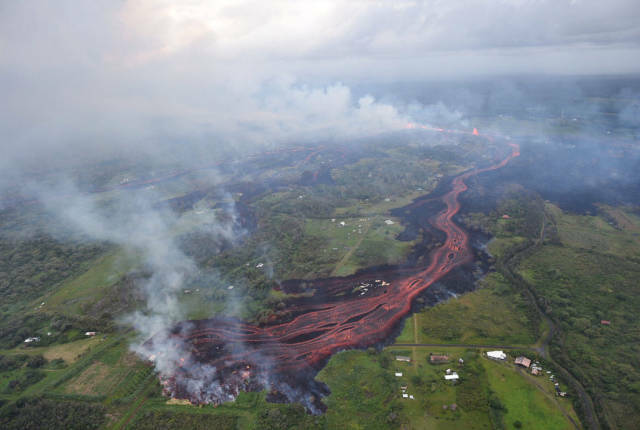 An aerial view shows just how large some of the flows are. 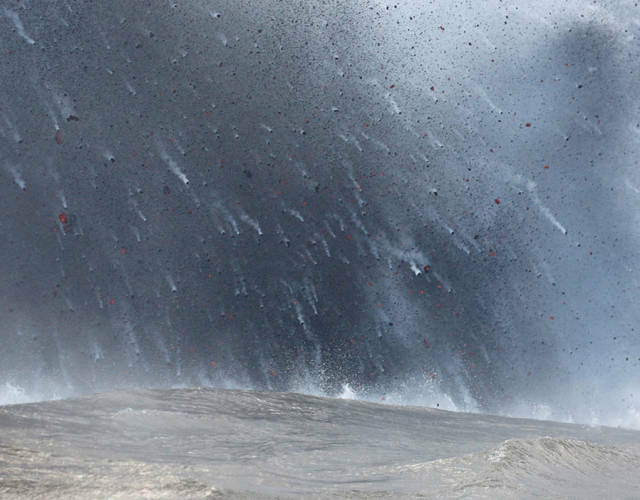 A lone tree against a backdrop of a fountain of lava. 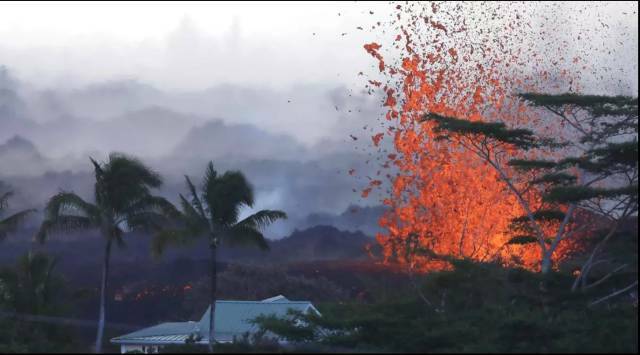 A fissure erupts near a house. 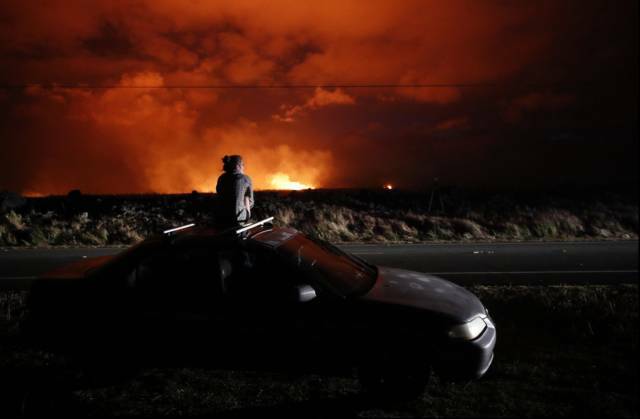 A local resident pauses to watch the eruption. 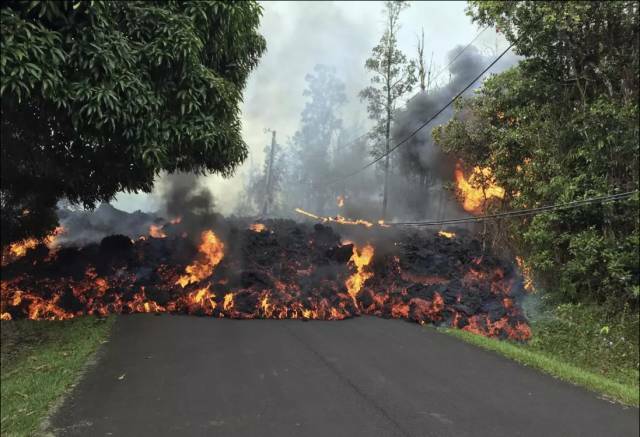 An active fissure in Kapoho, HI. 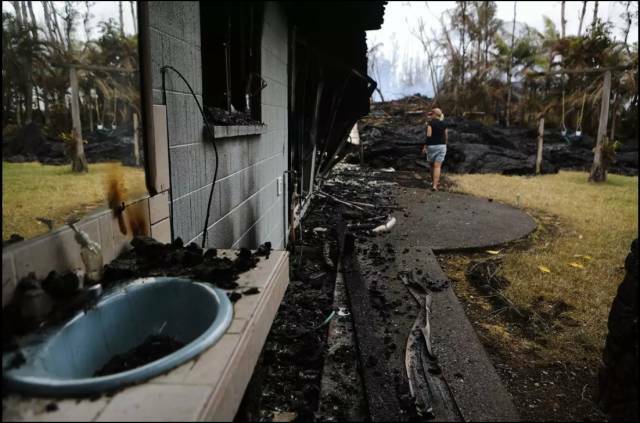 Leilani Estates residents console each other during evacuations. 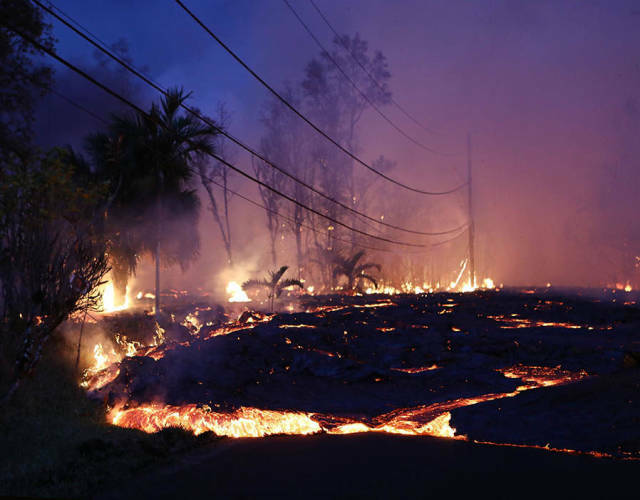 A lava flow moves across Makamae Street near Pahoa, HI. 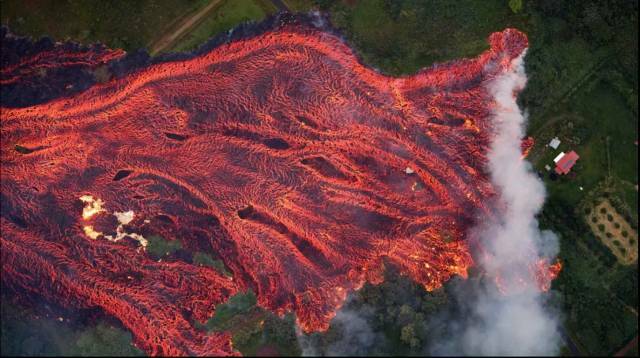 Another aerial view showing the size of one of the lava flows. A wide angle lens captures the entire north portion of the Overlook crater. A local resident inspects the damage of a destroyed home. 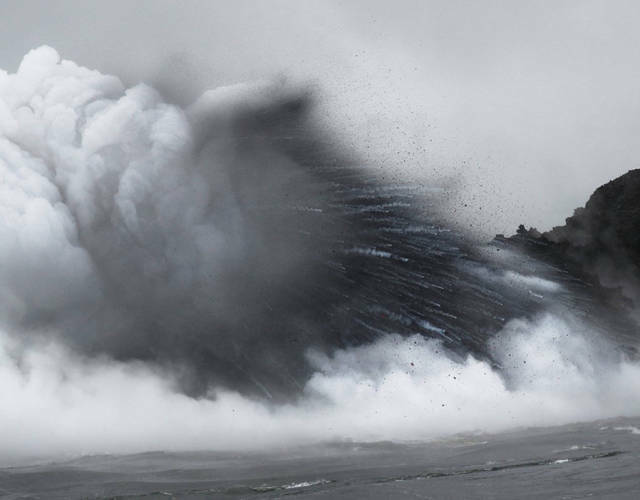 Lava flowing into the Pacific. 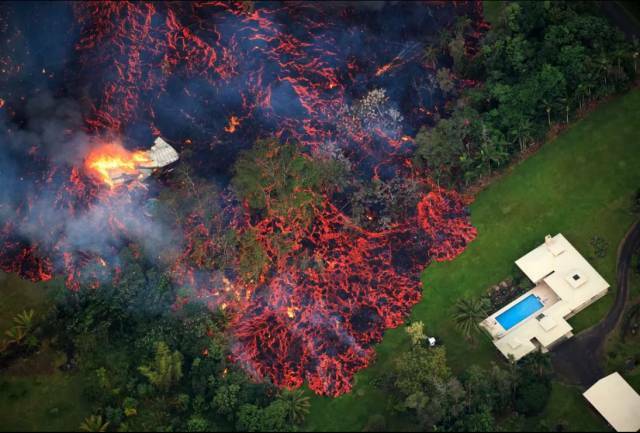 One home is destroyed while the lava flow encroaches on another. 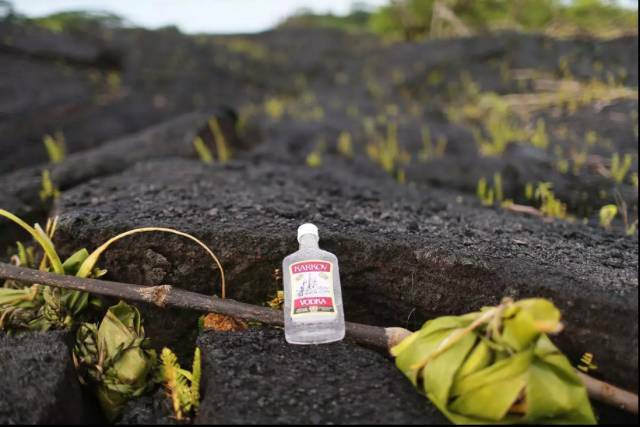 Ti leaves and a bottle of alcohol are left as offerings to the Pele, the Hawaiian Goddess of Fire. 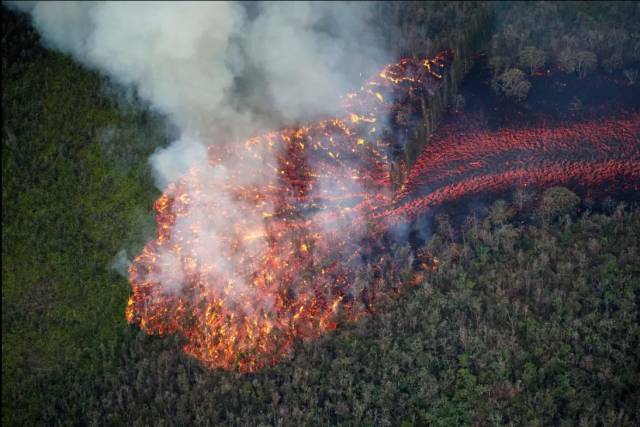 Lava cutting a swath through a forest. 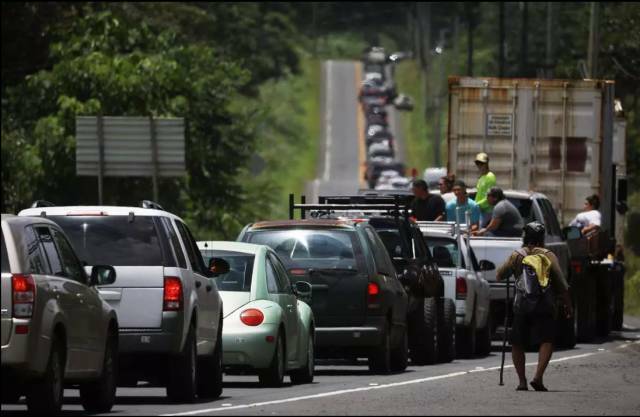 Residents jam a street after being allowed to briefly return home to check on belongings and pets in an evacuation zone on May 6 in Pahoa, HI. The view from a local resident’s front porch. 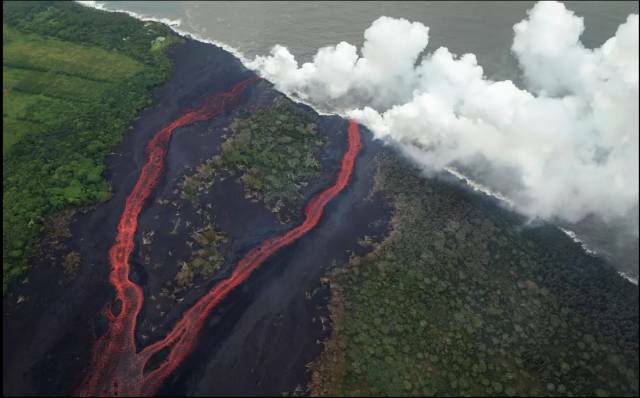 Aerial view of Kilauea’s east rift zone, as a fissure ejects lava more than 200 feet into the air. 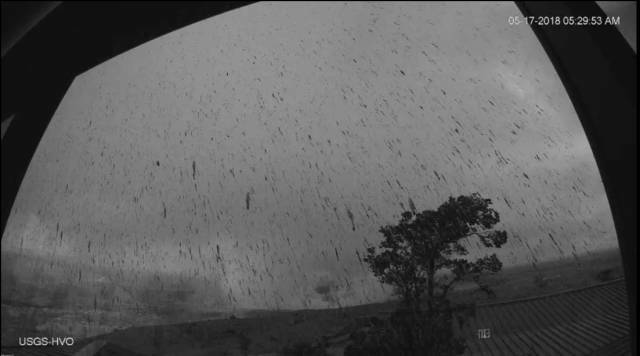 Active crater near the summit of Kilauea. 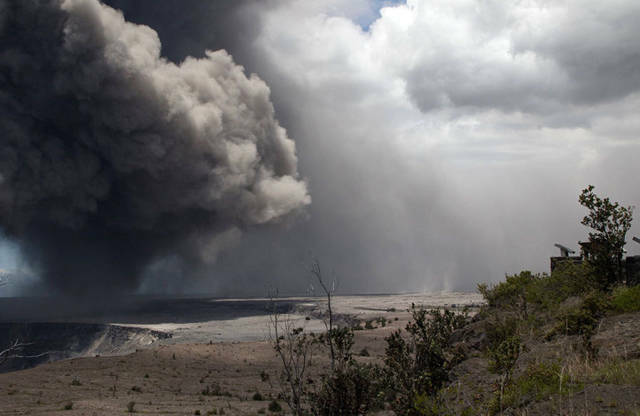 An ash plume rises from the Halemaumau crater within the Kilauea volcano summit caldera at the Hawaii Volcanoes National Park. OMG! 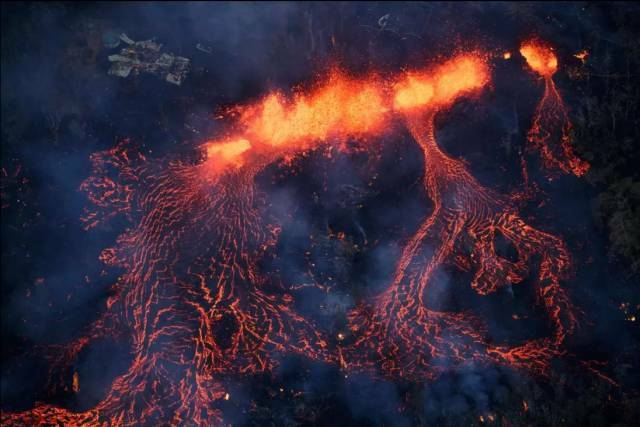 Who would have known this is exactly how the Hawaiian archipelago formed over time? 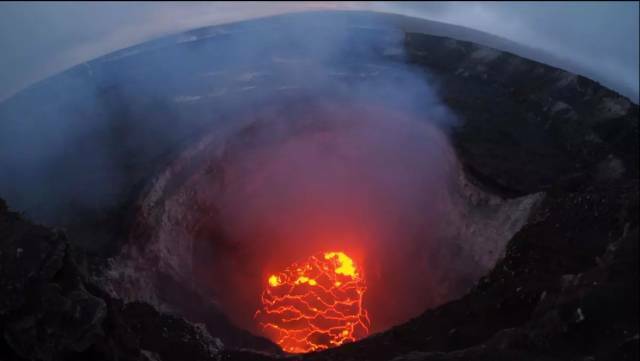 People owning property on an active volcano? Morons.